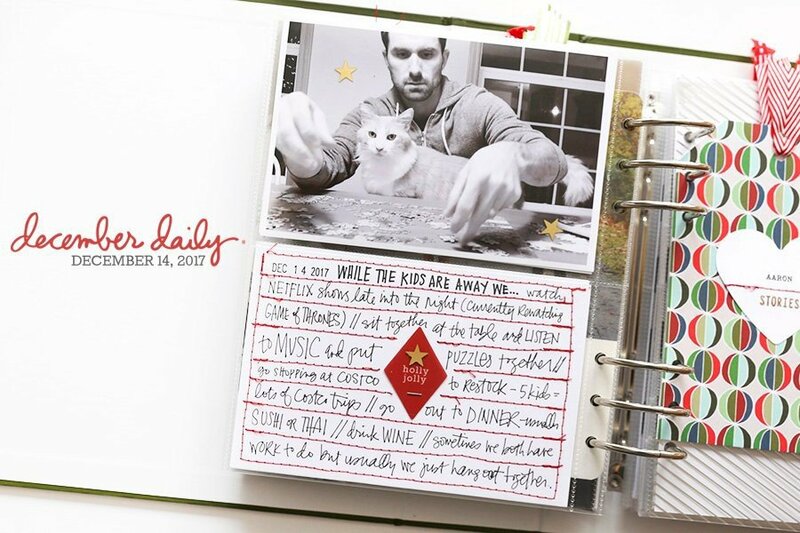 I'm interrupting my Week In The Life™ posting to share some updates on the 2014 December Daily® kit. There are now real-live photos of the products available the kit on the pre-order page and I'm getting super excited to play with these fun holiday products. 1. While supplies last, all pre-orders will include double the original amount of papers. 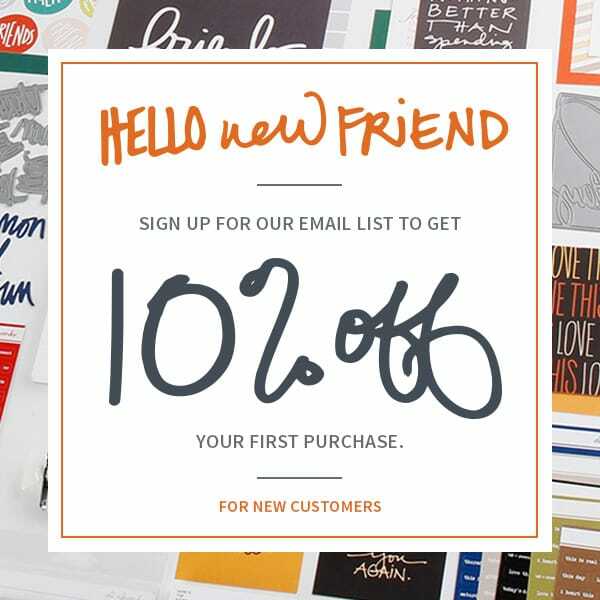 Rather than 20 double-sided papers, you'll get 40 double-sided papers which will allow you to use all the designs. 2. All international orders will be upgraded to expedited shipping, free of charge. That's pretty awesome. If you are international customer who already paid for expedited shipping we will refund you. Please note that you will still pay the $8 basic international shipping fee but we'll cover the cost to upgrade it to the expedited shipping option ($30). Shipping is free to US addresses. 3. The 6x8 albums are cloth covered in your choice of red or cream - swatches of those two options should be up on the sale page sometime today (it's in progress). I'll be using the red album this year. If you've already pre-ordered and decided you'd like to change to a different color you can start a conversation with Customer Service and they will take care of you! Take a look at the full content list and order your kit here. Kits will be shipping mid-November. I'll be tackling some foundation pages soon along with releasing some new overlays and templates for 2014. Want to learn more about December Daily®? If you want to start getting in the holiday documenting mood go here to watch a video and check out my past albums. You can also scroll through my December Daily® blog archives here. Double-sided pattern papers. Again, if you pre-order you'll get two sets so you can use both the front and the back. Really awesome TALL gold-foil chipboard alphabet. Sticker sheets including a white white alpha, kraft postage stamp and super cool word tabs. The kit includes three chipboard pages - this year I plan to mix in some other pages besides the ones in the page protectors. 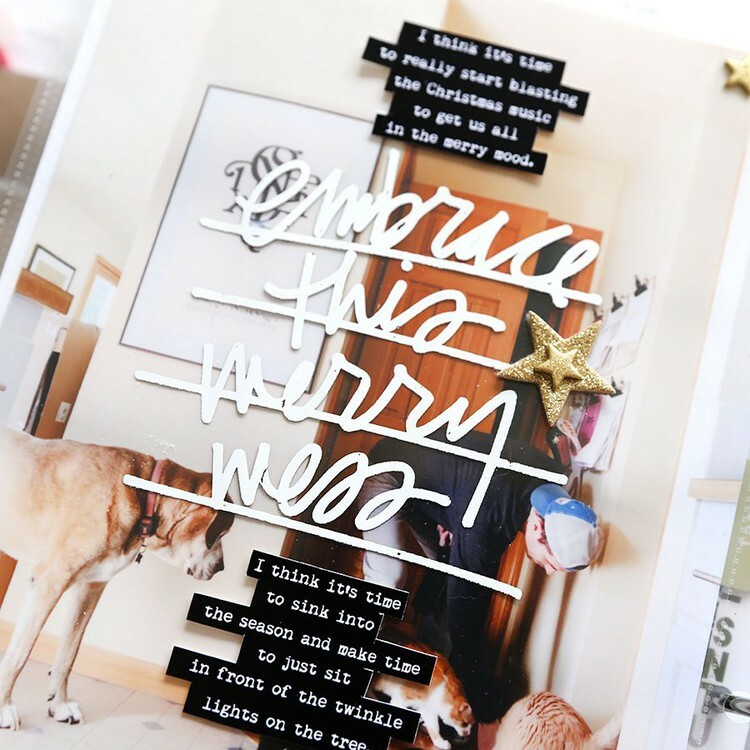 The chipboard pages include a checklist, a calendar + a circle die-cut page that I can't wait to use. There are die-cut gold foil labels (in the top image they look black or a very dark red - it's because they are hard to photograph) and plastic words in my handwriting: tradition, twinkle, twentyfive, december, and celebrate. Wood veneer numbers that go up to 31 + gold glitter chipboard trees, hearts and stars + 3 rubber banners (like the December Daily® one shown above). 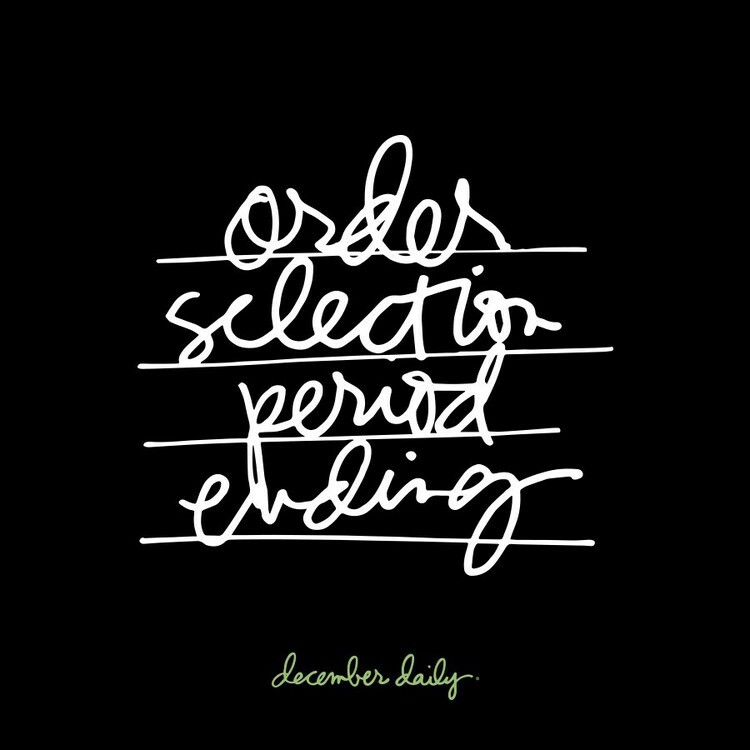 December Daily® is a registered trademark of Ali Edwards Design Inc. 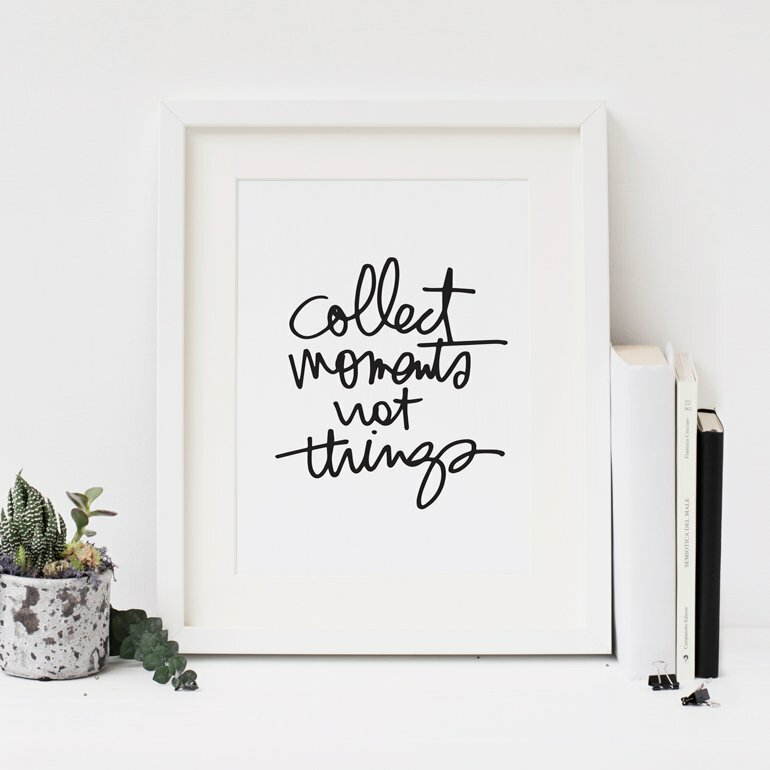 The only companies that have permission to use the trademark on any memory keeping products is Studio Calico or Ali Edwards Design Inc.
Could not resist your 'free international shipping' offer, especially since Canada was not considered international at SC. Guess I am in! Awesome! This looks totally amazing! Lovin' all the details! so glad i ordered! now the agonizing wait to get the kit, lol!! i also can't wait to see how you do your foundation pages!!! Thanks for working with SC to help the Internationals feel a bit more confident that our DD kit will arrive in time to prep it. Made all the difference to my decision to buy again this year. Thanks SOO much for the help with international shipping and the unexpected bonus of extra paper for pre-orders. You always give above and beyond - thank you! Kit looks really fun too. Can hardly wait, but must slow down and enjoy each day. First frost last night so we are on our way. I'm getting "We couldn't process your preorder: 2046 Declined" in firefox and in safari browsers. I'll try again later, but wanted you to know. I was thinking that there was an option to buy without the album? I don't see that now. Not sure if that is an option? Thank You. Hi! We did have that option for the Week In The Life™ kits but not for December Daily® - it's something we will consider for next year. Ali Please help!!!! I'm having the same problem as the second lady above me 'we couldn't process your order. 2046 Declined' I have an an iPad and iphone no laptop, trying to pay for DD kit and Lens of Joy class. Tomorrow is last day to register for that class according to your website, I'm in the UK so if buying DD need international shipping at its earliest, it's not letting me pay? So excited to get my hands on one of these. Can't wait to celebrate the season and document along the way. Thanks for inspiring us all. I took the plunge! This is my first year doing a December Daily and had to get your kit! I can't wait to receive it and get everything all set up and ready to go. I know it was mentioned that shipping would start in mid-November, but I was wondering if you had a target date yet? Technically, mid-November is on Saturday :) I think I saw you were still waiting on the albums to come in as of a week ago. Thanks! So an email was just sent out that we can expect the kits around 11/26. VERY late. Kind of disappointing if you ask me :) No offer for free expedited shipping either. I got my kit today (sans album) and it is gorgeous. Even better than last year. I have a few leftover page protectors from last year's kit, and I'm assuming they will work in this year's album? That way, I can get started on my early pages. It is just stunning, thank you for the extra paper. I would never have been able to choose between some designs, and now I don't have to. My album came, but it's peach/orange rather than red. Is that normal? Hi - that's the red we went with this year - mixing it up with more of a warm red (you can see images on the pre-order page as well on my Facebook page & Instagram). I'm using that album too and will share what I added to the cover on Monday. That's disappointing, because it's definitely orange rather than red. I had not noticed the additional pictures and was misled by the description. Hi again - I'm sorry you are disappointed. You can definitely start a conversation with Customer Service to exchange for a white album (https://aliedwards.com/conversations/new). My albums appear to be coral, not the Christmas red I was expecting. Does anyone know where to purchase two red albums? Hi - that's the red we went with this year - mixing it up with more of a warm red (you can see images on the pre-order page as well on my Facebook page & Instagram). I'm using that color album too and will share what I added to the cover on Monday. If you are looking for more traditional red I found one here at Scrapbook.com: http://store.scrapbook.com/mw-4035.html?t2=albums. You can get a red handbook album on Amazon. I have to admit I'm excited to be receiving my DD this week in Australia. Although with the comments on the red album I am a bit concerned. Coral / Peach have been used in the above comments and that to me certainly isn't a warm red. The colour swatches that were originally posted on the preorder page it was definitely more red. I would have changed my colour to white if that had looked orange as it does now. I'm just hoping I love it as this is my first DD. I'm hoping you love the whole kit too. If you have any additional concerns please feel free to start a conversation with Customer Service and you can exchange for the white album (https://aliedwards.com/conversations/new). I'll be using the red one (as you can see in my foundation post today). So impressed to receive my kit here in Australia only 5 days after it left Kentucky. Thanks so much everybody involved with that mammoth task. The album colour? I'm totally happy with the red and in 10 years time when I look back I have a feeling I will be loving the memories inside it not worrying about the colour.